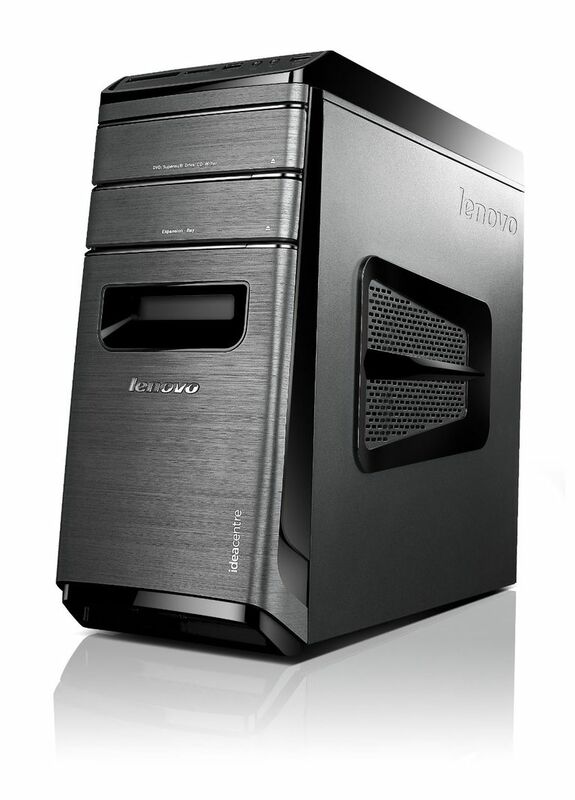 Lenovo has stopped producing the IdeaCenter K series of desktops. Instead, they now produce the generic IdeaCentre 700 as their mid-range desktop computer system. If you are interested in a more current desktop in the same price as the K450, be sure to check out our Best Desktops Priced from $700 to $1000 article. August 26, 2013 — Lenovo's IdeaCentre K450 isn't necessarily a bad machine but there are just too many compromises in this model to make it not a recommended purchase. This has to do with the fact that there are other systems for just a bit more money that offer better performance or features. Sure, it may have an easy to work in case but buyers should just look at buying a more expensive and better-equipped version of the K450 than having to settle for this one and then upgrade it. August 26, 2013 — Lenovo's IdeaCentre K450 is essentially the same as the IdeaCentre K430 except that it has been updated to use the new 4th generation of Intel Core I processors. This means that it uses the same basic desktop tower case that features some customizable LED lighting, tool-less case design and it's expansion bay where you can use special Lenovo external drives that can easily dock into it. Now the more affordable version of the IdeaCentre K450 that is priced under $1000 uses the Intel Core i5-4430 quad-core processor. This is the lowest of the first round of processor releases from Intel. It provides enough performance for the average user but is disappointing as most systems in this class feature the faster i5-4670 which provides a better experience for those who want to do PC gaming or demanding tasks like desktop video editing. The processor is matched up with 8GB of DDR memory which provides for a smooth overall experience in the Windows operating system. Storage is decent if a bit bland. There is a two terabyte hard drive which provides it with a large amount of storage space for applications, data and media files. Performance from this is decent but nowhere near the level of those systems that use a solid state drive either as a primary drive or for caching. If you do need additional storage space, there is the expansion bay which requires a specific drive from Lenovo, another internal drive tray that can be used and four USB 3.0 ports for use with high-speed external drives. While there are a decent number of the USB 3.0 ports, the system has just six total ports which is pretty low compared to most desktops that feature around ten. A standard dual layer DVD burner is also included for playback and recording of CD and DVD media. The big problem with the low-cost Lenovo IdeaCentre K450 is the graphics systems. Rather than including a dedicated graphics card, it relies on the Intel HD Graphics 4600 that is built into the Core i5 processor. While this is an updated version of the previous Intel HD Graphics 4000, it still lacks any significant 3D performance for PC gaming. It can still run a few older games at lower resolution levels but it really needs a dedicated card for PC gaming. Now the integrated graphics do accelerate media encoding tasks with Quick Sync compatible applications. If you do want to install a dedicated graphics card, there is space for one and the power supply is a modest power supply of roughly 300 watts. This means that it can support for budget oriented graphics cards but not the high-end models without a higher wattage power supply. Unlike the IdeaCentre K430, Lenovo has started to include an 802.11b/g/n wireless networking adapter with the K450. This is a nice addition as most of the big name brands are now including Wi-Fi with their desktops standards. It would have been nice to see it use a dual-band solution that could support the 5GHz 802.11a and 802.11n in addition to 2.4GHz spectrum but it is certainly better than not having it as the wireless does make it easy to connect into a home wireless network. Priced at around $760, the Lenovo IdeaCentre K450 is certainly one of the more affordable options out there on the market for those looking to get a bit higher performance system than a budget class one. The downside is that while it is more affordable, it tends to lack features found in the competition for just a bit more. Dell's XPS 8700 model comes with a much faster Core i7-4770 processor and a Radeon HD 7570 graphics card but does only have a one terabyte hard drive. The HP ENVY 700, on the other hand, uses the same base processor and integrated graphics but adds a 128GB solid-state drive for improved storage performance and has a higher wattage power supply for better graphics upgrade potential.